Sitting in a crowded restaurant next to the venue after just enjoying a solid turkey melt and salad I look around and realize that the room is buzzing, not in any particular way, just an energy around. This kind of energy usually is reserved for the hour in line at Ozzfest at 10am when you can hear the bands begin to sound check, but not tonight. A rock show is about to commence, one that you would never assume would be held in a venue that holds Just south of 1000 people (roughly), but it will. As I walked into a venue I’ve walked into a hundred times I’m greeted by hundreds of incredibly drunk middle aged men and women and then I’m completely blown away at the other people that are my age but look ten years older. We all grew up with the tapes of these guys in our cassette players, and even though I’m washed over with a bit of sadness because I never got to see them with Scott Weiland, I’m still so excited I can barely hold it all in. Fast forward a couple hours after a very interesting opening band from Las Vegas, the I stand in the front of a stage with a very simple STP branded drum kit echoing the voices of the past. Excitement builds. The lights go down and the band enters. Oh my God they look like they’ve been through a lot, I couldn’t wrap my head around it, it felt they just aged me more than I have realized. But then the music kicks in, and I start shooting. Just excited to be photographing this band. My head bobbing up and down not even paying attention to new singer Jeff Gutt, who if you close your eyes sounds eerily similar to Scott. I finished and made my way to the back of the venue, because I try to do my best to actually hear the music and I’m the back is generally where you can hear it in full. What I realized during the show is that, yes, it’s definitely the band that once was prolific playing prolific songs from some of the greatest rock albums ever made. I found myself closing my eyes to listen because as soon as I opened them I was quickly reminded of the energy and raw talent that was missing from the stage. And energy in rock sometimes is all you’ve got. 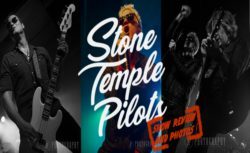 While I highly enjoyed this show I felt like Scott’s presence is sorely missed and the whole Jeff Gutt hits all the notes and tries to bring the persona of Weiland out in his performance, Scott is just not there anymore. 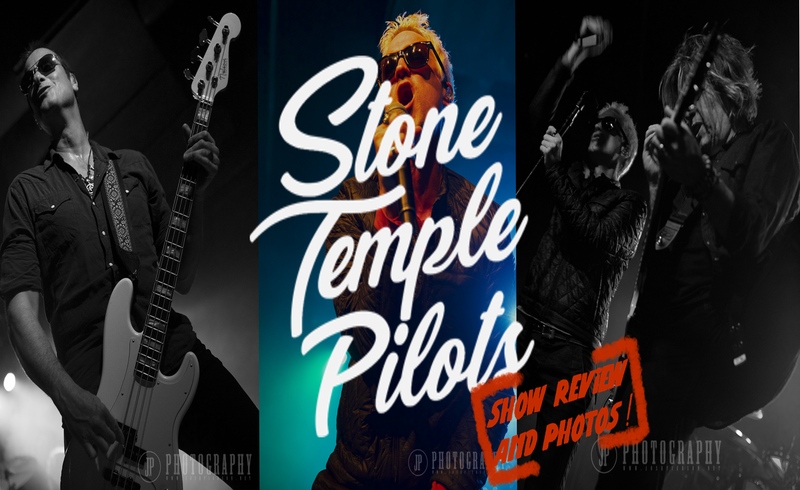 STP will forever be in my tape deck and in my heart and I hope that the band can find a way to shed themselves of Scott and create a new brand with a new singer that still embodies who they are. All in all, fantastic band played some fantastic tunes with a fantastic singer in a fantastic venue!